Apparently, I’m immortal. Because I, for many hundreds of nights, have slept in a room with a fan on. And survived. True story. You might now be wondering if I have gone completely insane (which is not too unlikely). Of course, why would I not have survived. Millions, if not billions, of people sleep with the fan on every night without much consequence. When I was living in a tropical country having those giant ceiling fans on was a basic requirement for being able to get a decent night’s sleep. But, the thing is, in South Korea it is widely believed that if you sleep with the fan on in a closed room you will die. It’s called “fan death”. Apparently, what is supposed to happen is that the room gets unbelievably cold, so cold that your body gets really cold as well and you eventually die of hypothermia (your body temperature is no longer high enough to allow your metabolism and other body functions to work). This is, obviously, quite ridiculous and shows a complete lack of understanding the basic rules of thermodynamics. In fact, in a closed room a turned-on fan will actually make the room ever-so-slightly hotter. The human body can only operate within a very specific range of temperatures. If our body temperature is too low it will eventually lead to your metabolism shutting down and if it is too high it can lead to organ failure. Humans are defined as endothermic homeotherms: we can regulate our internal temperature with our metabolism. The advantage of being endothermic is the ability to operate in a very wide range of environmental conditions. Too hot and we sweat, too cold and we shiver (muscle contractions produce a lot of heat). We have the ability to maintain our body temperature in the right range regardless of external conditions (within reason, of course). Snakes, on the other hand, are ectothermic. Their temperature is dependent on the environment. They don’t need a complex system to regulate their body temperatures like humans but when their core temperature is very low their metabolism slows down and they can only move very slowly. As the human body works it generates a lot of heat. Part of this heat is necessary to maintain the body at the right range of temperatures. However, more often than not, the heat generated by the body is more than is needed. This heat has to go somewhere. Humans have developed two very efficient ways to transfer this excess heat to the environment: sweating and panting. As I mentioned before, muscle contractions produce a lot of heat, hence it’s fairly obvious why we sweat and pant a lot when we go for a run or do other intense physical activities. In fact, what matters to humans is not so much the actual temperature of their environment but the heat transfer rate from the body to the environment: how quickly we can dump heat. Humans are not able to “feel” temperature, we can only feel how much heat transfer is going on. A couple of examples. Touch a plastic object and a metal object which are both at the same temperature. The metal object will feel colder. Why? Because metals are much better conductors of heat than plastics. So even though both objects are at the same temperature your body is transferring more heat to the metal one and hence it feels colder. Or, another example, 20 Celsius air is reasonably pleasant while taking a bath in 20 Celsius water will feel quite cold because the water has a higher heat transfer coefficient: you lose heat to water at a much faster rate. Which is why frozen lakes are so dangerous. If you fall into the close-to-freezing water it takes very little time for your body to lose a lot of heat and won’t take long before you die. Taking a naked stroll in almost freezing weather is certainly not pleasant (I mean, at least for me, don’t ask) but the air’s heat transfer capacity is so low that it will take a while before your body temperature decreases into dangerous territory. An underlying principle of thermodynamics is that heat always seeks an equilibrium. Put a cup of hot coffee in a room and the temperatures of the room and the coffee will eventually converge. One thing to note is that heat can never go from a colder body to a hotter body unless there is some energy put in (like in a refrigerator). It’s not possible for the colder room to transfer heat to the coffee and heat it up. I mean, you already know this. You don’t expect to make a room colder by turning a radiator on. The heat transfer to the environment therefore depends on a couple of factors. Firstly, the difference between body temperature and external temperature. The bigger the difference between the two, the faster the heat transfer (and vice versa). Which is why it can feel really hot on days when the temperature of the environment is high but still lower than body temperature. If your body temperatures hovers around 36-37 degrees C and the temperature of the air is 35 degrees the heat transfer rate will be painfully slow. Secondly, it depends on the the method of heat transfer. The main methods are: conduction, convection and radiation. Conduction is the heat transfer between touching physical objects (your skin transfers heat to the air in contact with it, which then transfers it to other air in contact with it, etc.). Conduction is a process that works by diffusion (the intermingling of particles of gases,solids or liquids due to their natural movement and vibration like, say, a teabag in a mug of stationary water) and depends on the medium (a substance through which physical forces are transmitted). Air is a much worse conductor of heat than water which is a worse conductor of heat than oil. In our case, we can assume that the medium is air. I’m going to guess that most people don’t have access to an oil bath and while you can (and probably do) take cold showers or go for a swim to cool off it’s not exactly a long term solution. You can’t live your life in water. Convection is the heat transfer due to a fluid in motion (for example, a cold shower will feel colder than a cold bath at the same temperature, because in the case of a cold shower you have the added effect of the moving water). It is also dependent on the medium. In a moving fluid there will be heat transfer by convection and conduction. The ratio of conduction to convection is given by the Nusselt number (wiki link). Radiation is the heat transfer to and from a body via the absorption or emission of electromagnetic radiation. All objects which have a temperature higher than absolute 0 (-273 C) will radiate temperature. Radiation does not need a medium (like conduction and convection) and it’s how the heat from the sun reaches us (traveling through 150 million km of vacuum). Humans do radiate a lot of heat (one estimation gives it as 1000 Watts of heat) but they also absorb a lot of it back from their surroundings. Heat transfer is also possible by evaporation. As molecules evaporate on the surface of a liquid they also take quite a bit of heat with them. This is the mechanism behind sweating. When the humidity of the air is quite high (there are a lot of water molecules suspended) sweat has a much harder time evaporating which is why humid climates feel sticky and hotter than dry climates at the same temperatures. Despite rumours to the contrary, a turned-on fan will not reduce a room’s temperature. The electric motor powering it will produce some heat and the friction of the fan blades on the air will also produce heat. Not to say that a small fan will make a room unbearably hot. The heat generated is not particularly significant. 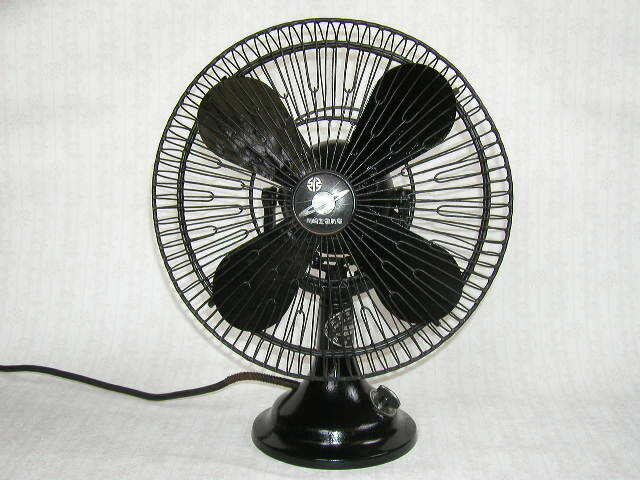 What a fan does is it forces the movement of air (by creating a pressure differential across the blades, but that’s the topic of a fluid mechanics article). The circulation of air increases heat transfer from the skin because now your body can take advantage of not just conduction to the air (and limited natural convection) but also of forced convection. As a result, this higher heat transfer will make you feel cooler. It’s the same principle behind the “wind-chill” effect. When it’s very windy it feels colder than the external temperature would suggest because the wind increases heat transfer. Theories abound on how fans kill, but the empirical fact cannot be reasonably denied,even though many expats liv-ing here in Korea stubbornly refuse to acknowledge the truth that electric fans left blowing overnight can kill a full-grown, sleeping man. But, let’s all bring it full circle. If you turn on a fan in a closed room, will you get hypothermia? Well, no. Not really. Remember that heat seeks equilibrium. The temperature of your body can never be cooled below that of its surroundings by convection. So unless the air in your room was already really quite cold you should be fine. And if it was already quite cold, why would you turn a fan on? Multiple sources give the first reports of fan deaths as appearing sometime in the seventies. Conspiracy theorists suggest that the myth was actually a clever ruse by the Korean government to curb electricity consumption at a time of rising energy prices. If bodies are exposed to electric fans or air conditioners for too long, it causes bodies to lose water and hypothermia. If directly in contact with a fan, this could lead to death from increase of carbon dioxide saturation concentration and decrease of oxygen concentration. The risks are higher for the elderly and patients with respiratory problems. Other explanations given for “fan death” are that in a closed room you will eventually run out of oxygen and asphyxiate or that somehow the fan’s blades chop up the oxygen molecules into carbon dioxide ones. Quite how the C in CO2 comes about is left to the reader’s imagination. I would just like to point out that this article is really just an excuse to talk a bit about thermodynamics and heat transfer. It is in no way meant to make fun of Koreans. Many different cultures have similar superstitions, for example, in Italy many believe that draughts can make you ill (not true). And many people around the world believe that swimming after eating will cause you to drown (also not true). There is a particular condition in which it is not advisable to use a fan: during a heat wave. Especially during a heat wave that brings about temperatures above body temperature (more than 36-37 C). When the air is hotter than your body the heat transfer is no longer from your body to the air but from the air to your body. Turning on a fan is dangerous because you are accelerating this process. The fan is helping the air heat you up. Which is bad. Liked this article? Support Pie Cubed on Patreon!